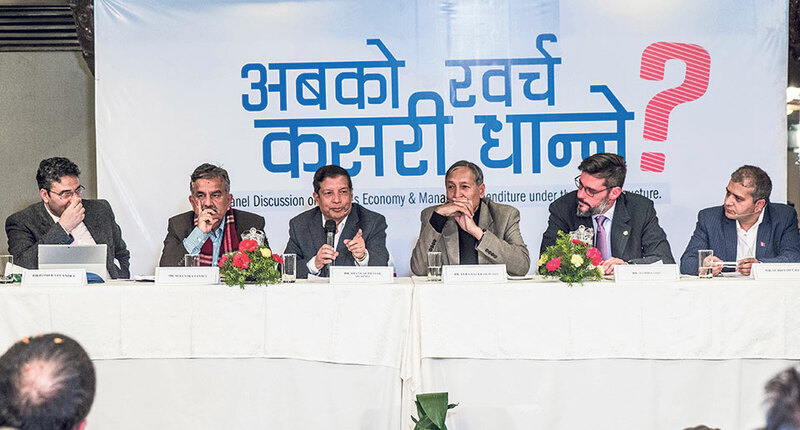 Photo Courtesy: Dipendra Rokka/Republica From left, economist Posh Raj Pandey, former finance minister Surendra Pandey, former vice-chairman of National Planning Commission Shankar P Sharma, former Nepal Rastra Bank Governor Yuba Raj Khatiwada, senior economist at the World Bank Damir Cosic and Republica Editor Subhash Ghimire during a panel discussion titled ‘Nepal’s Economy and Managing Expenditure under the federal structure’ in Durbar Marg, Kathmandu ,on Sunday. The discussion was organized by Nepal Republic Media. 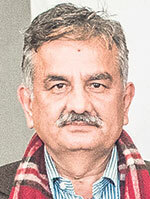 KATHMANDU, Feb 6: With the successful completion of local, provincial and central level elections, Nepal has moved toward implementation of federal system. As the country makes inroads into federalism from unitary system of government, there are questions as well as concerns on the management of federalism from the fiscal perspective. 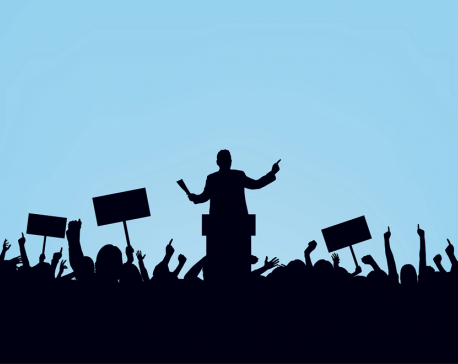 While the viability of federalism has long dominated the discourse since the discourse about the new system started in 2008, there is, however, a consensus that people will find their government in their affinity. For people, federalism also means more jobs, increased income, and improvement in living standards as well as quicker delivery of essential services like quality education, healthcare and other public services. However, a huge amount of money is required to implement federalism. One of the biggest fears and concerns under the federal set up has been finding financial resources to run and sustain the new system. The new system is coming into operation at a time when the administrative expenses of the central government is already going up and that is likely to balloon further with additional expenses required to keep 753 local units and seven provinces up and running. Managing federalism in fiscal terms is a challenge, but it is not insurmountable. We can manage it through several means. First, we have to see how we can decentralize or devolve the expenditure patterns, staffing or civil service patterns and security patterns, among others, which are embedded in the centralized government. If we can really manage and devolve state organs some portions of the expenses will be reduced. There will be some additional cost for local and provincial governments which requires additional resources. They have to widen their tax base. For that, they have to make investment in enterprises which can promote economic activities. The second is enforcement of taxation system. Currently, property tax, house rent tax or registration fees are the major sources of revenue of local governments. If we can enforce it strictly, local governments can multiply their revenue by at least two or three times. Tax compliance is very low even in Kathmandu. The issue now is to see that the existing taxation system is effective and at the same time public expenditure pattern goes toward widening the tax base through increased economic activities. 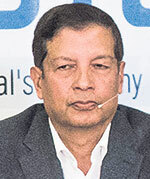 Local and provincial governments would have to rely on the central government's fiscal transfer for many years to come and the burden would be mostly on the federal government. This is what we have to manage at the federal government level. The focus should be on widening tax base instead of tax rates. We will not have competitiveness if we raise tax rates at this moment. We all know how we can increase tax base in the country. We are all aware about the mispricing of trade. Formal and informal data suggest that nearly 40 to 50 percent of our total trade is either unrecorded or informal or deflected. We also know the difference about the book value of the trade that come to the customs points and their transaction value. There are a lot of businesses and economic activities that have not come within the tax net. The size of the informal economy is predominant in our country which is also a basis for tax base. The value of assets is also rising in recent time and the tax system has not been able to capture that value. There are few other things that we now need to ponder on. We have not imposed taxes on agriculture yet. We should not impose tax on basic production and we should provide subsidies for them. But, all the stages above agro business where value is added and when that takes the form of industry, they all should come under the tax net. We have among the highest tax rates in South Asia. But many Nepalis have not felt the tax burden in a heavy way because corporate tax rate and income tax rate are at the lower side while we have come to a comparable rate in terms of norms of WTO and SAFTA. But, the higher tax incidence in Nepal is all about the problem to do with the denominator while making measurement of tax. This also needs to be fixed. Reducing age bar for elderly allowance without political mandate is a flawed decision. Paying Rs 2,000 per month to a family does not bring any change in general. There has been an unhealthy competition amongst political parties to declare social allowances and similar is the trend to distributing lands to squatters. I wonder whether the next government will reduce age bar further for elderly alliance. To do away with these wrong practices which may bankrupt the country, all the political parties should sit together and forge a consensus on both issues and implement it accordingly. We have too many national pride projects. But there has not been satisfactory progress as the government has allocated very little budget to these projects. We should trim the list of national pride projects to three. Other projects should be added in the list only after existing projects are completed. Wealth creation is the key to development and prosperity. We have seen many foreigners doing jobs here. But I have never met any Nepali home after investing and earning millions in foreign land. It is high time we focused on wealth creation. Each citizen thinks that they can be a president but I have rarely seen people who have an aim of becoming an entrepreneur. Nepali people have a mindset of owning inherited property and becoming rich rather than earning on their own and creating wealth. This mentality has to change. We want to change the culture of seeking jobs to the culture of doing business. We have to create a culture of entrepreneurship instead of the attitude of looking for jobs via government schemes. The government should provide loans at subsidized interest rates to promote entrepreneurship. On the other hand it is important to exploit the potential areas like tourism and agriculture. We need to have hydropower grid capacity to substitute at least half of the country's petroleum imports in the next five years. Capitalist political system is regulated worldwide, but here capitalism is not regulated. The government should regulate land use and stop haphazard settlements near industrial areas and stop overpricing of land for making businesses feasible. High land prices have made farming unfeasible. Some years back, an industrialist in Hetauda told me that commoners came and started settling near an industry. Later, they protested against the industry, saying that it was causing pollution. How can industries sustain in such environment? The government paid Rs 1.1 million for a ropani of land in Banchare Danda while the market price was around Rs 11,000 per ropani. This is stealing money from the state coffer. We need effective regulation to stop such practice. That is why regulating land use is the need of the hour. There should be a system of providing land on long-term lease of say 100 years. Big corporate houses should go public. If Samsung can distribute shares to the public, why can't the Golchhas, Dugars and Jyotis, among others, go public. Why cannot these family run businesses convert themselves into corporate businesses? In the past, money has not really been Nepal's problem. It's actually the spending that benefits the great number of people, not just a few but everybody. Even going forward, we have a large portfolio of loans that we have made to Nepal. But the money is actually not being spent because development projects are not being implemented. We managed to secure the largest International Development Association (funding) -- the softest loans possible and the largest ever for Nepal for the next three years. So, we have $1.4 billion for the next three years. We are working hard to find projects for this money. Finding projects worth $1.4 billion will be challenging. But what would be more challenging and that actually matters for Nepal is that those projects do not get implemented on time. If we look the public projects done by Nepal in its own money, regular projects stay on average for 11 years. Then we have something called national pride projects, which one would think would be faster, but these projects take 14 years. May be they should not call it a national pride project and this should be a regular project. It's trying to deliver infrastructure and services to the people. We know that Nepal has least amount of infrastructure per capita in South Asia as well as globally. About 2 to 3 percent of GDP in Nepal is getting spent on social security which is a sizeable amount. But we have done measurement that if we stop spending that money, there will be no impact on poverty. Like a speaker here said, social security what Nepal is doing right now is neither social nor security. The key question for Nepal is what we are going to do differently when we are now in new federal Nepal. Are things going to stay same or they are going to be changed? And the literature in federalism shows three types of federalism. One is genuine federalism where the government really wants to do it and decentralize, and knows how to do it. Then, we have mistaken federalism where the government wants to do it but does not quiet know how to do it? And, mistakes get made. Then we have third kind which is cynical federalism where it's federal in paper but nothing is really changing. But, I am not saying which category in Nepal is because it's too early. We actually have zero day of federal Nepal. Provinces don't exist. Though they might have met in assembly, there is no chief minister, no government, no plans and no policies. Local governments have existed for nearly six months. But that's not federalism. You had local governments during Panchayat regime, but I would not call it federalism. And, the center has not really changed. We (the World Bank) have been Nepal's steadfast friend for too long. We have been here for over 50 years and I am ashamed to say that because we don't have anything to show for it. What have we done? So, the name of the game is how are we going to do things differently? Federalism has not really even started and we are talking about taxes. We really don't know what service is going to be delivered by center, by province and by local government? The key for Nepal's federalism is to buildup provinces and local levels while shrinking the Singha Durbar. Singha Durbar can't stay the same. We have gone down to 753 local units from nearly 7,500 VDCs and DDCs - that is nearly tenfold reduction in numbers. The point here is that we don't want to scare people that federalism is impossible. 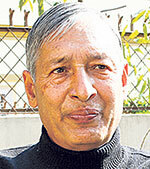 Nepal can afford federal structure. It's the question of rebalancing. Singha Durbar needs to be downsized because there is no point in keeping the same functions in Kathmandu. The main thing is lack of spending capacity. We should expedite our national pride projects. Development partners and donor agencies are ready to provide assistance, but the most important thing is how to mobilize the loan. The other important issue we have is sustaining social security which is growing at the rate of 34 percent annually. A total of Rs 130 billion, or 10 percent of total budget, has been allotted for different types of grants. The growth of pension and retirement fund also stands at 24 percent. This shows that the government is mostly spending on non-productive sector. We are spending major chunk of our resources for administrative, salary, allowances and physical infrastructures headings for the provinces and local governments in the coming years. The government needs an additional Rs 300 billion, including other investments, per year to finance federal structure. This could be met through Rs 100 billion from taxes, Rs 100 billion from efficiency enhancement and Rs 100 billion from foreign aid. The government should rethink how much it has invested in welcoming private sector investment. The money spent on distributive programs must be channeled to productive sectors. To put in a nutshell, managing expenditure will be very difficult in federal structure. Public enterprises must be privatized to reduce government's burden. It is irrational to allocate money to these ailing enterprises in the names capital investment. Will these public enterprises pay dividend to the government? 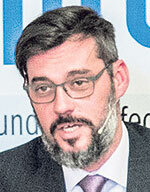 FDI flow in Nepal is only 0.5 percent of the GDP and which is very low. 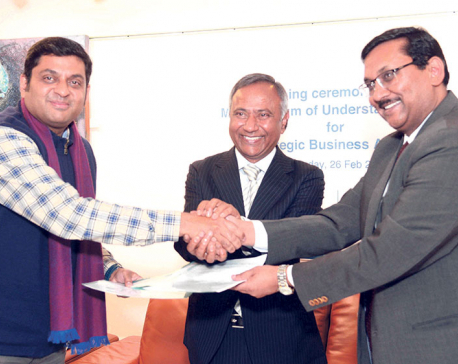 We can increase FDI flow by implementing more public-private-partnership projects. In the budget for the next fiscal year, the central government may need more money for defense and security sector as it will be very difficult to reduce the number of police and army. The cost for loan repayment and judiciary will also see a sizable growth. I see the government's spending increasing by three times annually. In this scenario, we should prioritize programs, complete mega infrastructures in given time and end the practice of allocating budget before project preparation is complete. Regarding slow progress in national pride projects, I think there are three different reasons. First is, projects are only conceived when it is declared and hence are not ready to implement. Secondly, the procurement law has favored contractors. Project administration has limited rights and power to handle the contractors. Third is, frequent change of project managers. To achieve 7 percent growth target, the government should expedite spending particularly in productive sectors. Likewise, the governments should also rethink how much should be spent for bringing domestic and foreign direct investments. A development project should not linger for over 12 years. We should revisit the policy of providing grants in agricultural sector as we have not seen agro growth go above 6 percent. We should go directly to the agriculture farms and facilitate farmers. We can improve our trade with India by generating more hydropower and selling energy to India. Likewise, we should set a target of bringing 10 million tourists annually. It can be achieved by attracting more investments in hospitality sector and developing new packages like Buddhist Circuits as well as other packages linking Pashupatinath, Janakapur and many more sites. Youth in Politics. What for?